Company Name：Hong Ye Rubber Industrial Co., Ltd.
Hong Ye Rubber Industrial Co., Ltd.
With over 25 years experience in Rubber production. 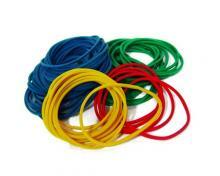 Hong Ye Rubber is one of the leading manufacturers of rubber bands and tubes in Taiwan and Vietnam. Our commitment to efficiently delivering the highest quality products at competitive rates has earned us high praise from our clients around the world..
​Copyright © Hong Ye Rubber Industrial Co., Ltd. All Rights Reserved.